With its exclusive village feel, there are many smart, beautiful restaurants, pubs, cafés and food shops in St John’s Wood. Established for many decades, a number of them boast genuine historic or legendary status. The restaurants in particular are surprisingly eclectic – you’d expect them to be mostly Michelin-starred French places, but there are barely any of those. In fact, many are white table-clothed classics that you’d want to take your parents to rather than that hip young thing dangling on your arm. But this makes them all the more alluring for their high-quality, non-gimmicky timelessness. Since you're in such a lovely area, why not start your day with a champagne breakfast? Take a moment to visit Moment, a contemporary bagel bakery, deli, café and patisserie in Blenheim Terrace that serves a great selection of breakfasts at amazingly affordable prices. Other than champagne, there are English, Israeli, smoked salmon and healthy breakfasts, French toast, and a choice of omelettes. Brunch includes toasted giant bagels, several Israeli classics such as sabich and shakshuka, and even vodka smoothies. In fine weather, you can sit and eat outside. 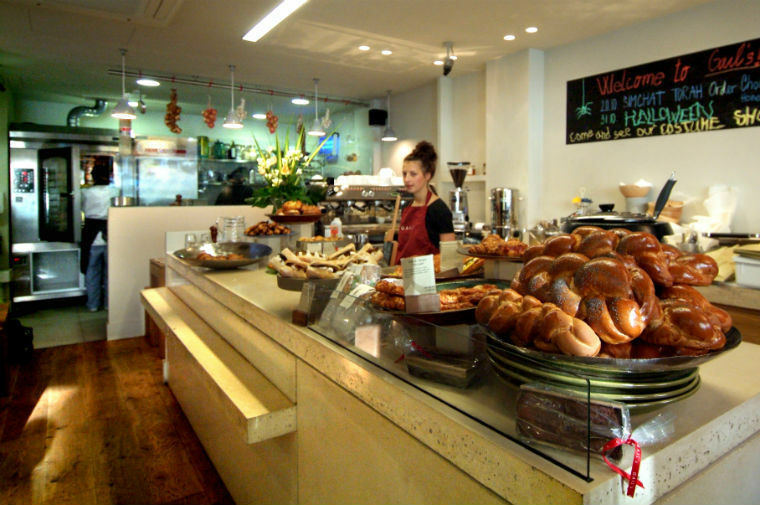 On St John’s Wood High Street, you’ll find the wonderful Fego Caffe. Part of a mini-chain located in attractive parts of the UK, it’s renowned for its brunch. This includes brunch burritos, spicy scrambled eggs, American pancake stacks, duck eggs with soldiers and much more. They offer separate, extensive gluten-free and kids’ menus, too. Beatles Coffee Shop, where you can pick up a pastry... and a Beatles t-shirt. 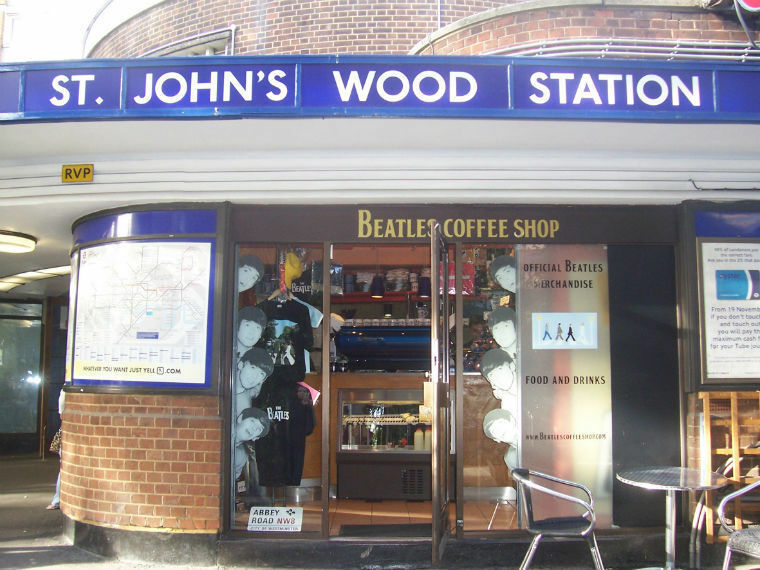 If you’re travelling by underground, your first pit stop will be the Beatles Coffee Shop located at St John's Wood station. It's a good place to grab a sandwich, pastry or hot drink; and you can also buy Beatles merchandise and find out about their Beatles tours. You don't want to miss Harry Morgan on the High Street either, a famous New York-style Jewish deli that’s been going for nearly 70 years. The delicious bagels (also available for breakfast) are what they're best-known for; but you can also indulge in homely, retro-style extravaganza of chicken noodle soup, salt beef, peppered pastrami, falafel burgers and cheesecake. We like their 'eat first, diet later' mantra. Close to both in nearby Circus Road is a branch of Richoux — a small chain of restaurants founded more than 100 years ago. The smart venue is most renowned for its patisserie, but it also serves a wide selection of pastas, pizzas, risottos, salads, meat and fish dishes, and sandwiches. They serve extravagant sundaes too; plus eggy breakfasts, afternoon tea, and special cricket lunches. Gail's bakery St John's Wood with tempting goodies. The area is filled with excellent food shops and delis — the most famous being the 50-plus year old Panzer's. Regarded by many foodies as their favourite food shop in the capital, it’s packed with groceries from all over the world (with a notable range from America, Russia and Eastern Europe). You'll find lots of cheeses, breads, chocolates, cakes, drinks, and organic and kosher products here. Our favourite is their amazing fruit and veg selection, bought six nights a week directly from the New Covent Garden Market. 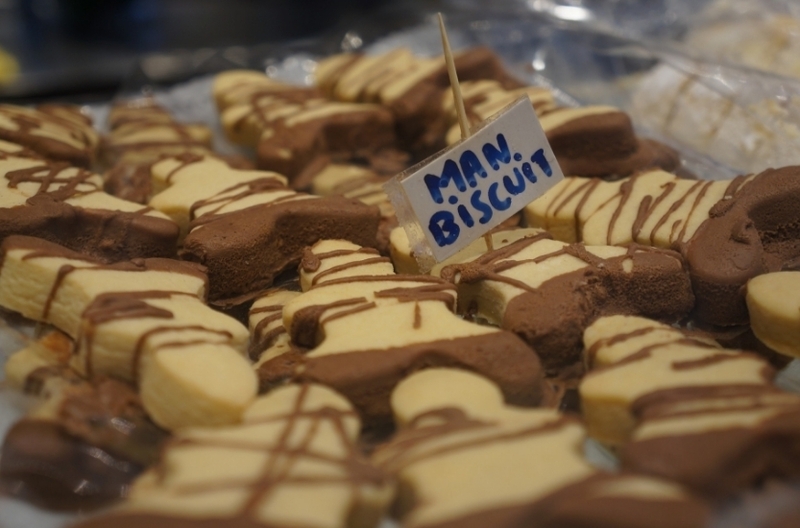 Also in the neighbourhood is a branch of Gail's bakery where you’ll find fresh breads, pastries, tarts, imaginative salads, and breakfast and brunch items. Founder Tom Molnar tells us: "One of my highlights is being on the bakery floor selling bread and meeting people. We have a loyal customer base in St John's Wood, so it's wonderful to be able to mix with them, draw inspiration and reflect on what we do... We are passionate about making world-class bread and baked goodies for people in the amazing communities we live and work in. Our best seller here is French dark sourdough." Over in St John's Wood High Street, there’s Kent & Sons, an award-winning butcher that’s been around for nearly 100 years. It showcases UK at its best: there’s grass-fed Scotch beef, English and Welsh pasture lamb, and West Sussex pork fed on whey from a local cheese factory. The High Street is also home to The Bread Shop's first branch, established nearly 20 years ago. 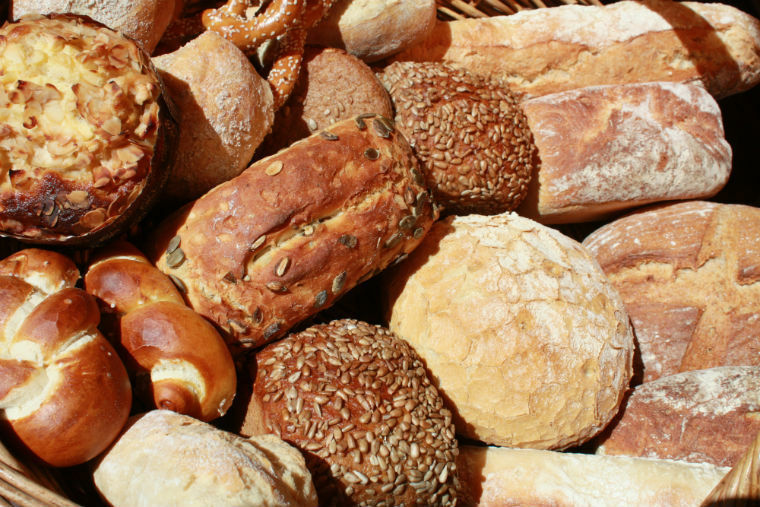 It has a large selection of spelt breads, cakes and pastries; plus a small gluten-free range. While on the High Street, you won't be able to resist popping into a branch of Gelato Mio. In addition to delicious ice creams and sorbets in seasonal flavours, this Italian gelateria also sells 'goblets' (wafer baskets with ice creams, fruits, nuts and sauces), and makes gelato cakes to order. And over in Abbey Road (59-61A Abbey Road), Bruno's Deli is a small, friendly Italian place that sells groceries; plus tasty pizzas, pastas and sandwiches. The Bread Shop St John's Wood, known for its large range of spelt breads. Whereas SJW's food scene is sparkling, the drinks scenario can seem a little gloomy: some of the old historic pubs have closed, with developers moving in. Still, there's plenty to raise a glass (of wine and champagne) to at Abbey Road's renowned pub The Salt House. 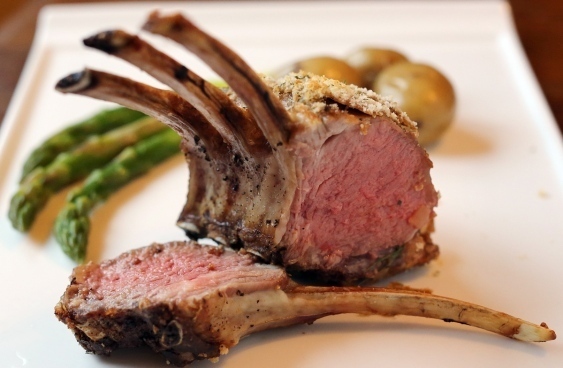 Popular with the odd celebrity, the handsome venue with outside seating also serves great quality modern British food, especially Sunday lunches. Walking back towards St John's Wood underground, The Duke Of York in St Ann’s Terrace is another important pub: it's 190 years old. Along with a good range of wines and champagnes, it has serious food offerings: there are special cricket menus, burger and steak days, and substantial Sunday lunches. The landlord has also been involved in sponsoring and regenerating the garden outside the tube station. The historic Duke Of York pub. In contrast, The New Inn in Allitsen Road is a gastropub with rooms — and a new kid on the block by SJW standards, being only five years old in its current incarnation. It serves wines, champagnes and craft beers — but try one of the many wonderful, great-value cocktails from their ex-Savoy mixologist. The food is of a high standard, too: the menu includes breakfasts (including Austrian and Czech breakfasts), canapés, sharing boards and small plates, plus leisurely Sunday lunches perked up with live jazz. These are all great pubs to visit if you're in the area for cricket — but the Lord’s Cricket Ground also has its very own pub on site, Lord’s Tavern. Located next to the famous Grace Gates, this renowned boozer has been around for more than 100 years (of course). Whether you're celebrating your team's victory or drowning your sorrows, there's a decent selection of ales, lagers, ciders, wines and champagnes to choose from. The Modern British menu has occasional cricket-themed influences; and the pub hosts lavish Sunday lunches and quiz nights, and shows live sports on big screens. 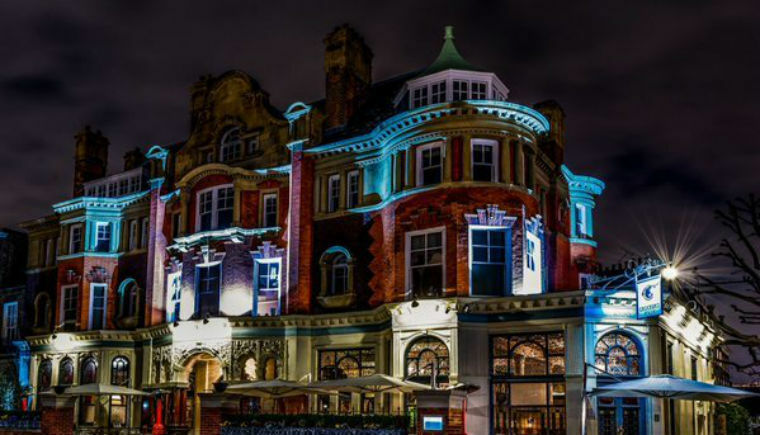 Crocker's Folly bar and restaurant - an amazing place with fascinating history. Close to the cricket ground, in the secluded Aberdeen Place, the historic Crocker's Folly bar and restaurant is definitely worth a visit for its stunning looks. The 120-year old venue has a fascinating history, which you can read about here. Start your evening with a superbly imaginative cocktail in the ornate bar; then move to the sumptuous restaurant to try the delicious new Lebanese inspired menu, surrounded by 50 types of marble and beautiful chandeliers. Across the other side of Lord's, the 40-plus year old Don Pepe is London's oldest Spanish restaurant and tapas bar. The charming family-owned venue serves over 30 types of tapas and classic dishes. Nearby the Pakistani restaurant Original Lahore is also long-established (by now this doesn't surprise you, right?). Frequented by Indian and Pakistani celebrities, it serves homely halal fare including karahi chicken on the bone, and whole lamb slow-cooked for six hours — many of which it was the first to introduce to London. The mini-chain, which originated in Whitechapel, has spawned many inferior imitations with 'Lahore' in their name, but this is the real deal. A selection of tasty meze at Yasmeen restaurant. 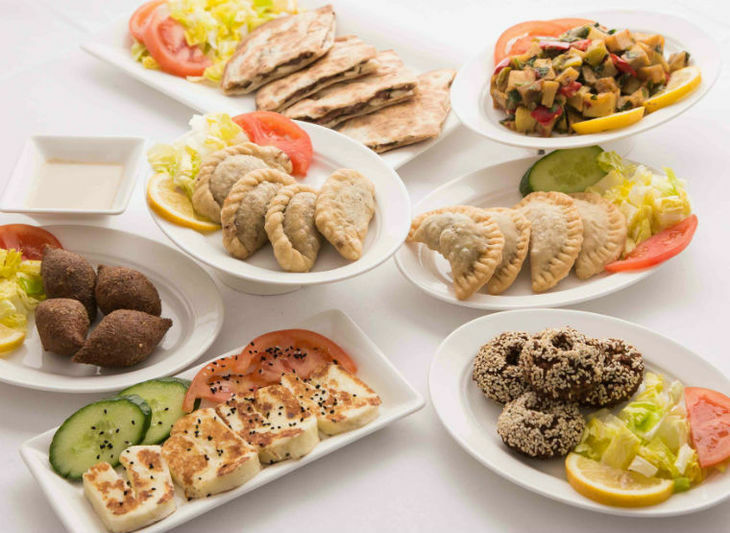 Back on St John's Wood High Street, Sahara is a contemporary Lebanese that serves a wide range of meze, salads, sandwiches, charcoal-grilled main courses and colourful vegetarian choices. Nearby Oslo Court, a family-run restaurant that's been around for nearly 35 years, is famous for its retro-style cooking and old-fashioned hospitality — as everyone will tell you, it treats all its customers like family members. The much-loved venue serves upscale French comfort fare such as crab a la Rochelle, and chateaubriand with béarnaise sauce, but there's little here for vegetarians. Close by in Circus Road, there's a branch of Fora, a contemporary Turkish restaurant that serves a huge selection of casseroles, chargrilled dishes and seafood. Over in Blenheim Terrace, Yasmeen is a bright, award-winning Lebanese that serves lots of hot and cold meze and chargrills, with a wide choice for vegetarians. There are several good restaurants in nearby Boundary Road, too. Hiro is a Cantonese hero, specialising in dishes such as king prawns and scallops with broccoli, pork chops with chilli salt and pepper, whole sea bass cooked in a bag, and 'chrysanthemum aubergines'. Its neighbour Chayada serves traditional Thai dishes in attractive surroundings. There's a vast selection, including good veggie options. 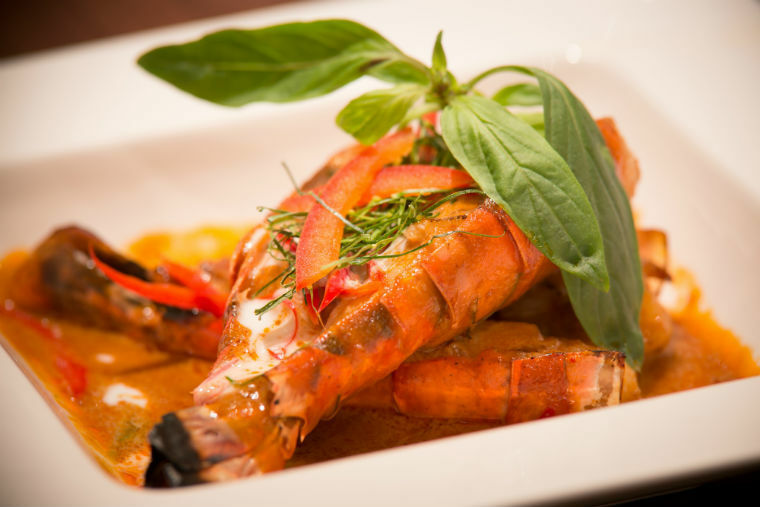 Look out for specialities such as giant king prawns in panang red curry sauce, and chargrilled marinated chicken thigh with papaya salad and sticky rice. Chayada Thai restaurant's popular panang curry with giant prawns. Further up the road, Tamada is a quiet, cosy Georgian that serves top-notch food — truly, some of the tastiest and most thoughtful Georgian fare in London. The many vegetarian and gluten-free dishes are clearly marked on the menu, and there's a good selection of Georgian wines, too. Don't miss their khachapuri (cheese-stuffed bread) and walnut cake. Nearby Allora specialises in northern Italian cuisine. Along with fresh pastas and risottos, there are specialities such as classic ossobuco, chicken breast Milanese, and linguine with lobster. So there you have it: plenty of lobster and champagne in an area steeped in beauty, history, Beatlemania and cricket — an ode to a bygone era that’s otherwise hard to find in London.